After targeting director Karan Johar for calling the city Bombay in one of his films, Maharashtra Navnirman Sena chief Raj Thackeray issued a veiled threat to Censor Board chairperson Sharmila Tagore, for passing films which call the city by its former name. Raj wrote to Tagore, saying that she, and not the director of the movie, will be held responsible if a movie calling the city Bombay is given a nod by the board. The letter said, The city's name was officially changed from Bombay to Mumbai in 1996. Every organisation, like the civic body and the development body ensured that they made changes in their names. Despite all this, many films continue to call the city Bombay. Raj said the onus of any reactions to hearing the city being called by its former name, lay on Tagore. I am writing this letter to you to tell you that hence forth you shall be held responsible for the consequences of a film not calling the city Mumbai. Maharashtra Navnirman Sena (MNS) chief Raj Thackeray's warning to Sharmila Tagore of the Central Board of Film Certification (CBFC), she will held be responsible if any movie refers to the city as Bombay, seems to have worked. Tagore has asked the board members to take appropriate action against the offending parties: We have been informed that the CBFC has decided to review those films against which we had raised objections. 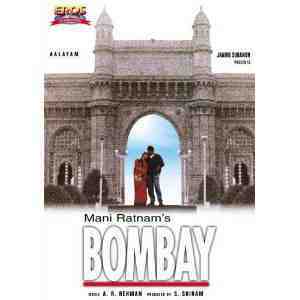 Two to three films had used the word 'Bombay' instead of Mumbai . The board issued this order immediately after receiving the letter. It assured us it won't happen in future, said Shalini Thackeray, general secretary of the association.